Another day, another rumored tablet. 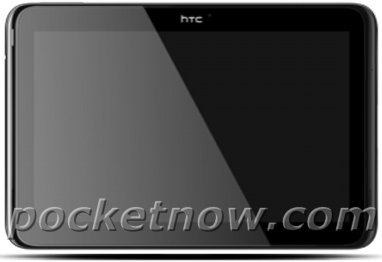 Another new rumored HTC device, period. 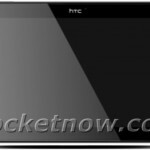 This time we’re being treated to an early look at the HTC Quattro, a 10.1 inch tablet rumored to have NVIDIA’s quad-core Tegra 3 processor inside. Alongside all that juice there will be 1GB of RAM, Bluetooth 4.0, 5GHz WiFi N, 16GB of internal storage, a 2 megapixel HD rear camera and a 1.3 megapixel 720p HD front camera. Panasonic has just announced the launch of the ToughPad tablets, in the 7 inch B1 and the 10 inch A1 versions. These are rugged models, that can survive a drop from up high, it seems. They can even take on harsh weather and rough treatments, so they’ll be ideal in industrial environments. Both run Android and meet the durability standards of ToughBook PC products from Panasonic. You also get 3 years of warranty, a water resistant shell on the slates and resistance against dust, screen glare and more. Extreme heat and cold doesn’t bother the ToughPads, so temperatures from 14 degrees to 122 Fahrenheit won’t be a problem. Falls from 4 feet are also faced and you can use one of these tablets at an elevation of up to 15,000 feet. Plus, the specs aren’t bat at all, including the 1.2GHz Marvell dual core CPU on the A1, 1GB of RAM, 16GB of storage and the 10.1 inch multitouch display. Digital pen input and a 1024 x 768 pixel resolution round things up, while on the software front, Android 3.2 Honeycomb is the name of the game. The A1 integrates a mic and speaker, a microSDHC card slot, a stylus holder, a 5MP camera at the rear and 2MP one upfront, plus a micro HDMI port, Bluetooth, GPS and micro USB port. 3G and 4G connectivity are supported, but the price is pretty premium at $1299. If you were looking to pickup the thinnest Android powered smartphone on the planet, the wait is finally over. 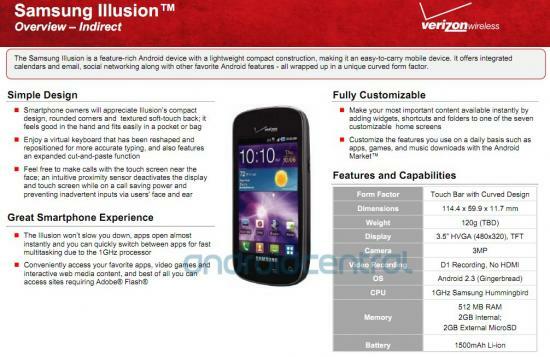 The Motorola Droid RAZR is now officially available from Verizon Wireless. If you were still wary on shelling out your hard earned money on one, our full review of the device should be up by tomorrow morning and may help you make up your mind. As a refresher, the DROID RAZR is promised to receive Ice Cream Sandwich in the near future and features a 4.3-inch 960×540 Super AMOLED qHD display, 1.2GHZ TI OMAP4430 dual-core processor, 8MP rear camera, 1.3MP front facing camera, 1GB of RAM, 16GB of internal memory and last but not least — compatibility with Verizon’s blazing fast 4G LTE network. 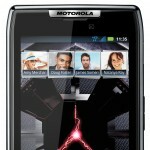 If you don’t feel like waiting for our review, you can always join in on the conversation in our very own DROID RAZR forums where new and potential users are picking apart the device, feature-by-feature to see if it’s a worthy purchase. Anyone out there picking one up today? 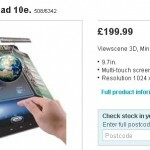 Wondering just what the Samsung Illusion has in store? 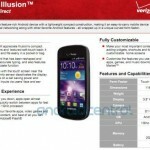 A recently uncovered Infocenter page through Verizon has all the vital details. The phone sports Android 2.3, a 1GHz Hummingbird CPU, and 512MB of RAM. A 3.5-inch TFT LCD display gets a resolution of 480×320. 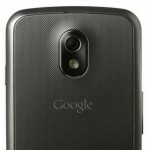 Perhaps most interestingly, the Illusion features a “curved design” not unlike that of the Nexus S and upcoming Galaxy Nexus (though from the image, the curve doesn’t look as extreme). No release date is mentioned, but going off recent rumors November 17th could be the date. 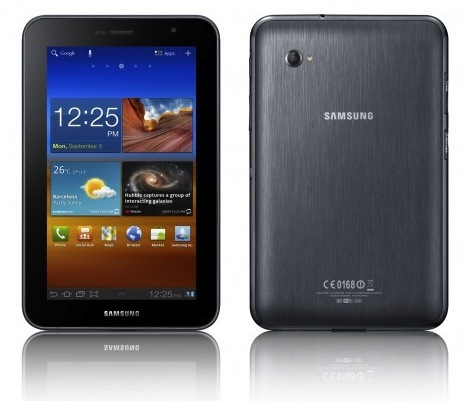 There are few tablets out there that are rugged and even fewer that claim they’re indestructible. We have the Panasonic ToughPad and now a new model called the Fujitsu Arrows LTE Tab, an Android slate that can be submerged under water completely without problems. 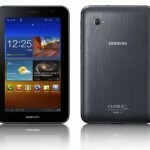 This is a 10 incher model with a 1280 x 800 pixel resolution, Android 3.2 Honeycomb on board and Tegra 2 as the CPU. There’s also 1GB of RAM available, as well as 16GB of internal storage, a microSD card slot with support for 32GB of extra memory, a microUSB port and a microHDMI port. The CPU inside is the usual 1GHz Nvidia Tegra 2, so the specs here are average but the external shell is the selling point, since it’s resilient.